The house was outside the Carew's deer park. The land was acquired by Alfred Smee in the 1860s who created a very elaborate garden described in My Garden (1872). 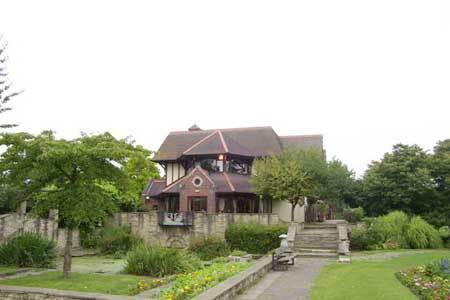 His son built a house on the site which was burnt down in 1960 and eventually replaced by the present building. 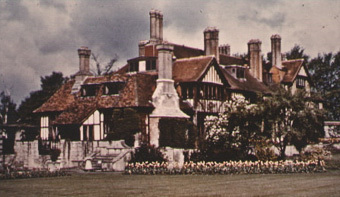 In 1935 the house and grounds were acquired by the Borough of Beddington & Wallington and turned into a public park. The garden has been considerably altered over the years but the little stone bridge by the lake, the adjacent rockery, and many trees date back to Smee's time. The Grange lake was originally a mill pond. The mill stood at the east end of the lake near London Road. It was subsequently the Helm chocolate factory. The buildings have been demolished.